I have been lauding the many virtues of the Skin Inc. line for nearly a year; from the magnificently effective and convenient *Optimizer Voyage Tri-Light (reviewed HERE and HERE) to the instantly smoothing and refreshing *Pure Revival Peel (reviewed HERE), this fragrance-free and paraben-free Japanese brand is on the forefront of innovation. I am excited to announce that Skin Inc. is now available at Beautylish and, in honor of this fresh launch, am sharing some of my favorite products in the line for your perusal. 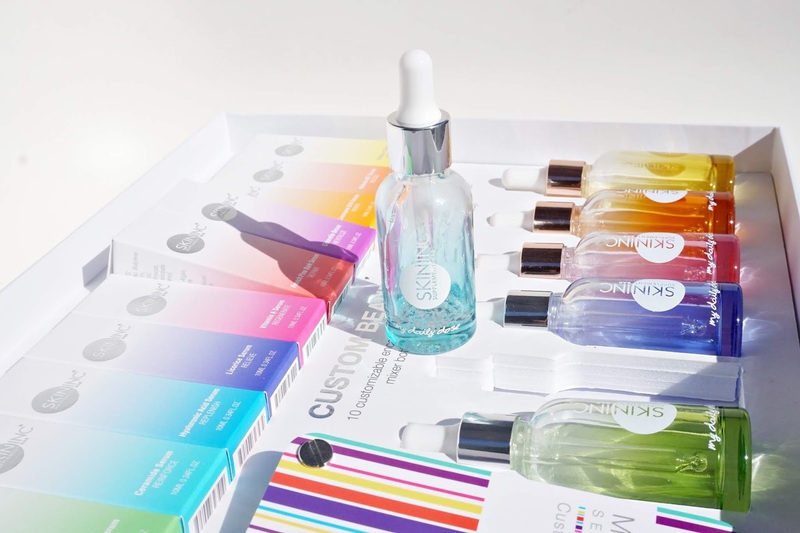 One of the many benefits of the Skin Inc. line is its customizable serum options, which guarantee that you are giving your skin everything that it needs and nothing that it does not. 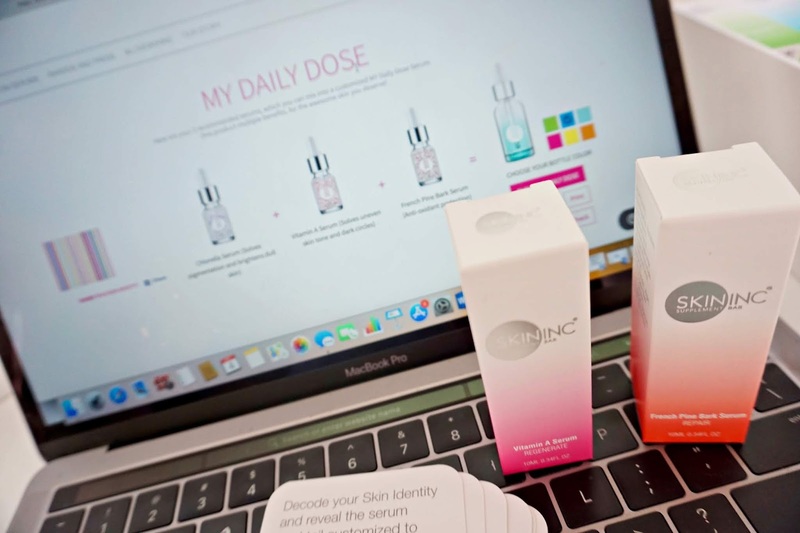 Simply visit the Skin Inc. site and take the 5-minute Skin Identity Quiz to quickly and specifically identify your major skin concerns and subsequently have a custom serum blend recommended and prepared. 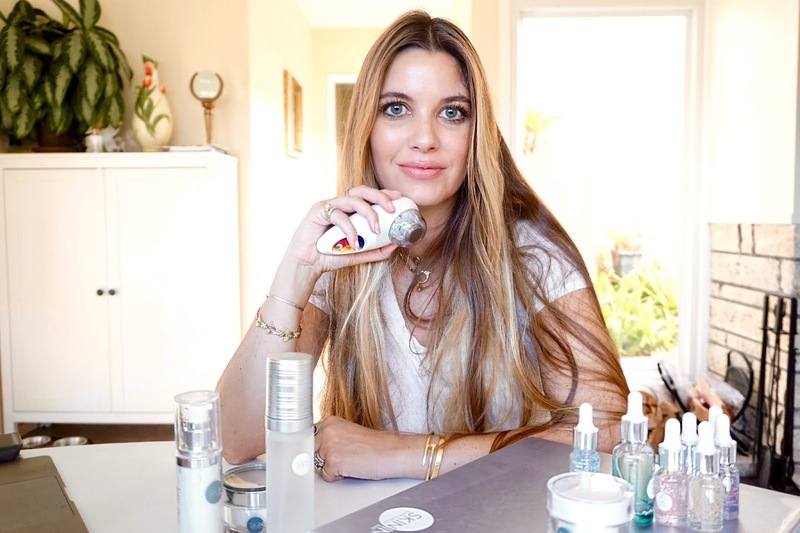 Beauty alchemy in action via Skin Inc. 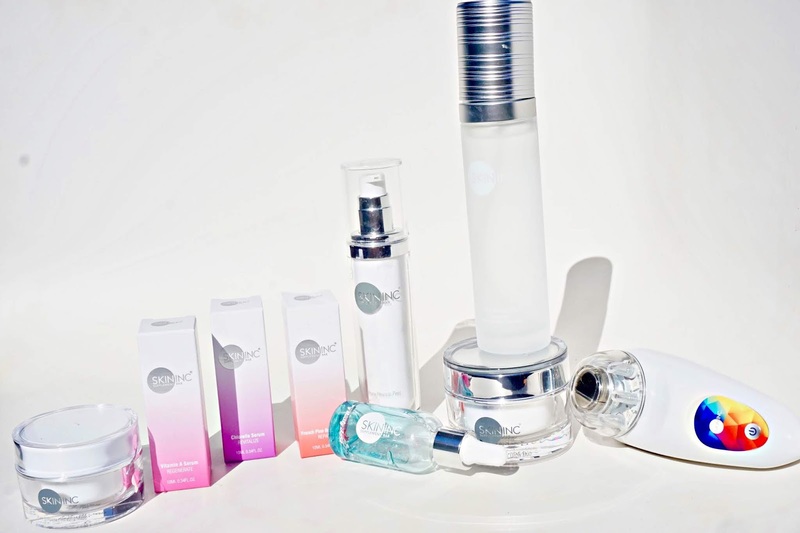 The proprietary encapsulated active ingredients, which look like colorful suspended bubbles, burst upon contact with the skin, ensuring maximum potency and efficacy with each and every dose. 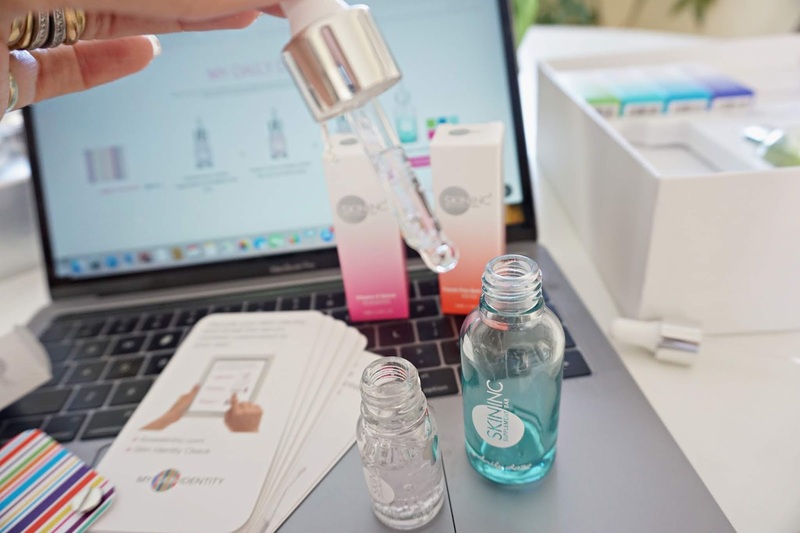 Three drops--both day and night--and my skin is nourished, protected and perfected and I love that I can further customize the My Daily Dose formulation as the weather and my skin concerns continue to change! 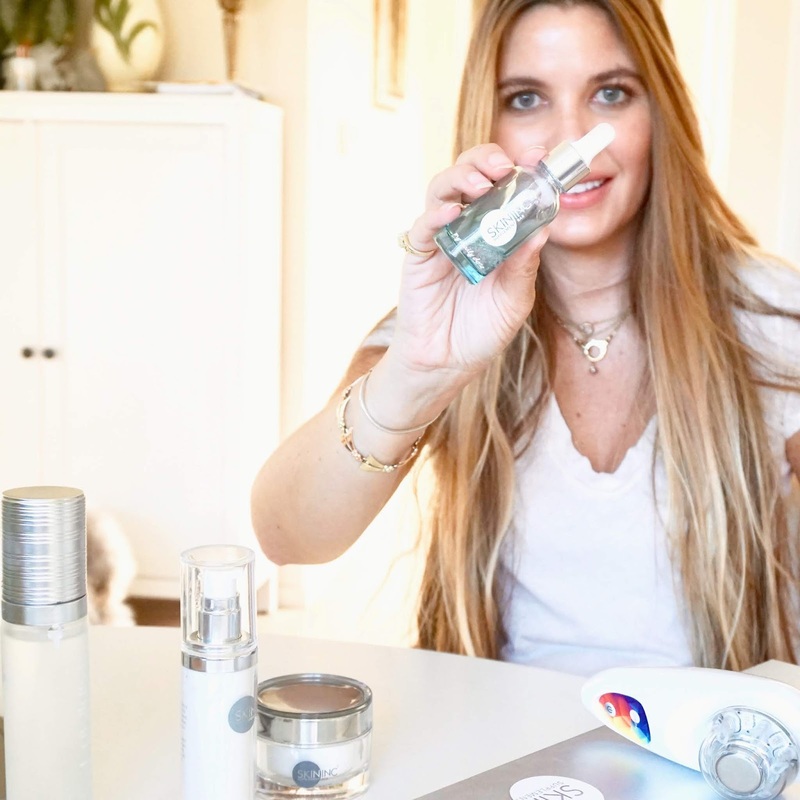 Next, the *Skin Inc. Optimizer Voyage Tri-Light is my unequivocal beauty device go-to. This portable, battery-operated wonder is perpetually on my nightstand for end-of-the day treatments and also accompanies me on my travels! Harnessing the dual powers of LED NASA Chromotherapy and Low-Frequency Stimulation, this wildly portable and skin-transforming tool delivers instant and long-term results with every session, while maximizing the penetration of the skincare that follows. The three light settings target a myriad of skin concerns including fine lines, slack tone, unevenness, dark circles and even blemishes. The Red Light = Revive: Excellent for reducing the look of fine lines and wrinkles while improving the elasticity and "bounce" of the skin. Work the Tri-Light in upward motions along the jawline (this personally reduces some of the discomfort of my TMJ) while focusing additional applications on lines and wrinkles. The Yellow Light = Glow: Gentle enough to be used in the orbital region, this light helps to target shadows and target dark circles. Consequently, gently sweep this particular light along the upper cheek bones and underneath the eyes. 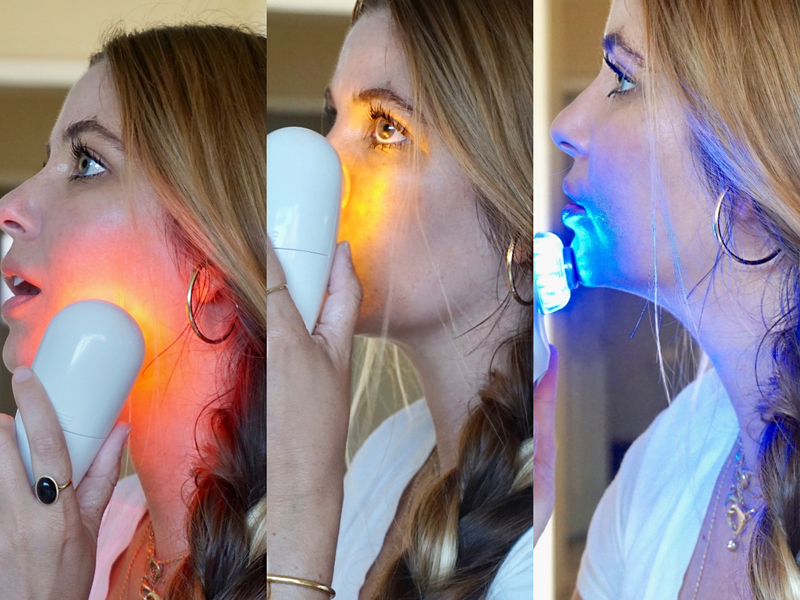 The Blue Light = Sooth: Marvelous for sensitive and stressed skin (I use this light for rogue blemishes), run it along the T-zone to help reduce excess oil production and pernicious spots. Once you begin to use the *Skin Inc. Optimizer Voyage Tri-Light, you'll wonder what you ever did without it. Mine is a permanent fixture on my nightstand and each nightly treatment is a relaxing experience to which I look forward. 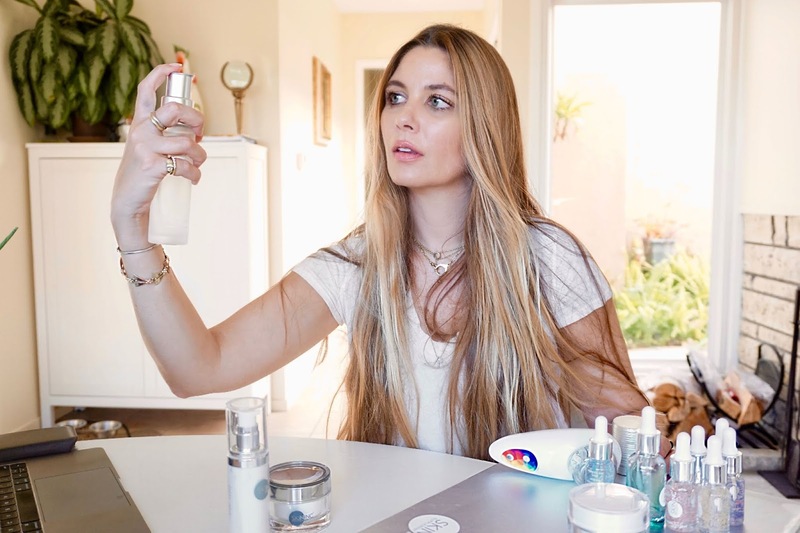 Because the device works best with water-based products, I like to pair my *Skin Inc. Optimizer Voyage Tri-Light with a generous dose of the *Skin Inc. Pure Deepsea Hydrating Mask, which includes deepsea water from Japan as well as Hyaluronic Acid for intense moisturizing benefits. 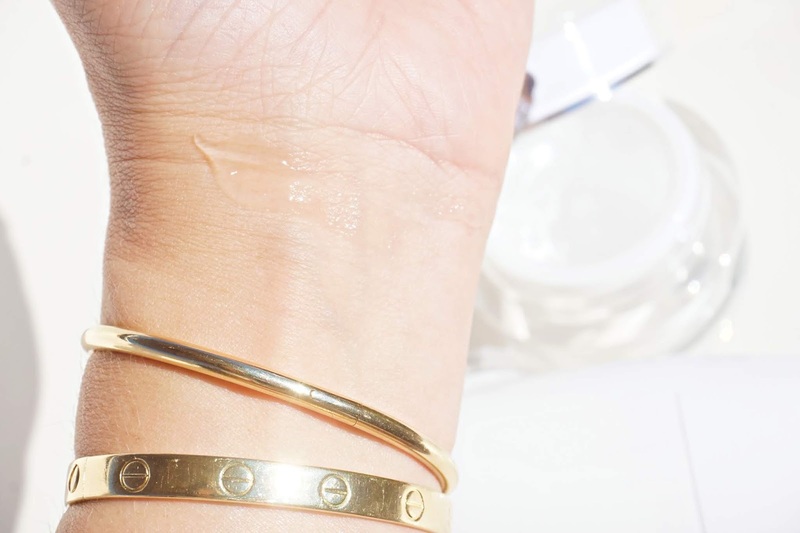 This completely clear gel feels lightweight and buoyant and it's important to note that it can also be worn overnight for richly hydrated skin upon waking. The *Skin Inc. Mask-Have Matte & Glow Duo. 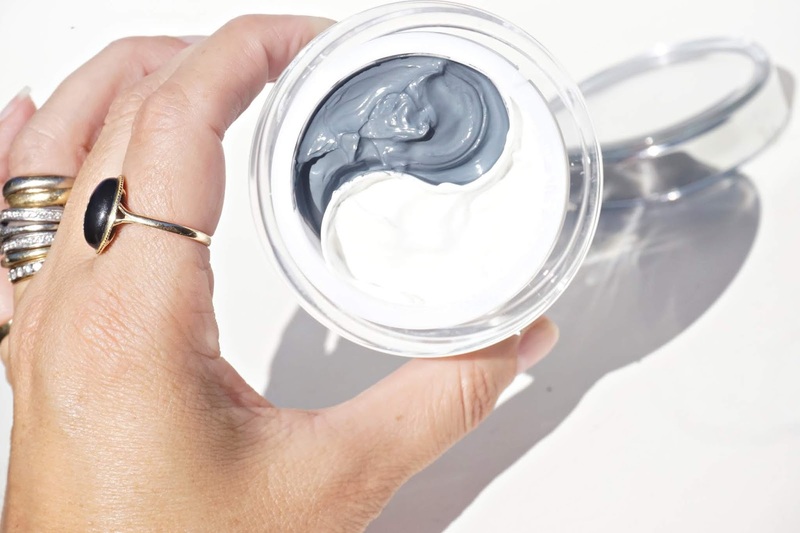 One of the latest addition to the Skin Inc. family is the *Mask-Have Matte & Glow Duo, which brilliantly combines the refining Pores Be-Gone Mattifying Mask (brimming with kaolin clay and volcanic ash) with the illumination-inducing Get Glowin' Brightening Mask (boasting vitamin C and licorice extract). Two masking options in a single jar is not only creative and aesthetically pleasing...its also unmitigatedly utilitarian. 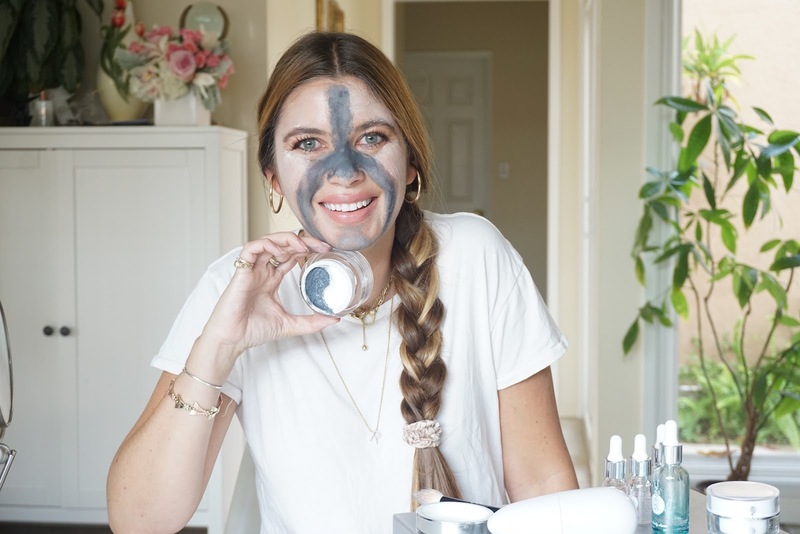 I like to strategically apply the Pores Be-Gone Mattifying Mask along my T-zone where excess oil product is more prone to occur while concentrating application of the Get Glowing' Brightening Mask on the high points of my face (you know I adore a glow), much like if I were applying highlighter. Ten minutes later and the effect is simply glorious...upon rinsing with warm water, my skin is detoxified, rebalanced, revived and radiant! 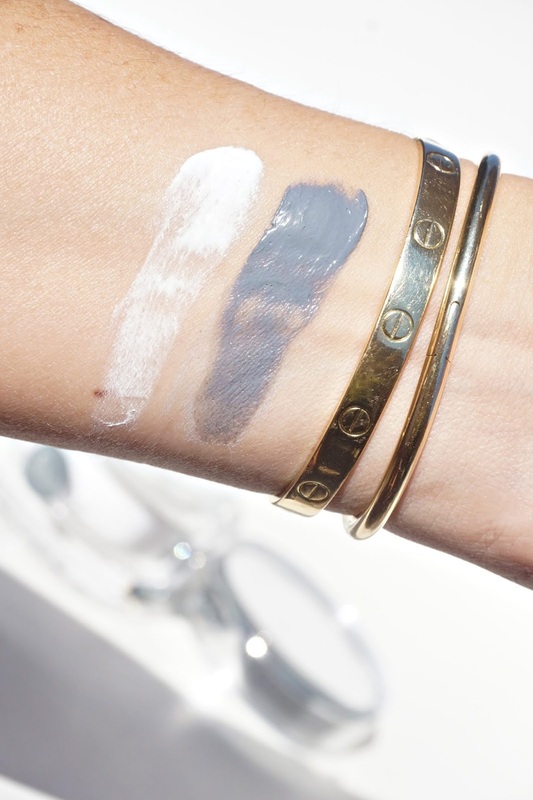 Swatches of the the Skin Inc. Mask-Have Matte & Glow Duo. A customized application = customized skin results. 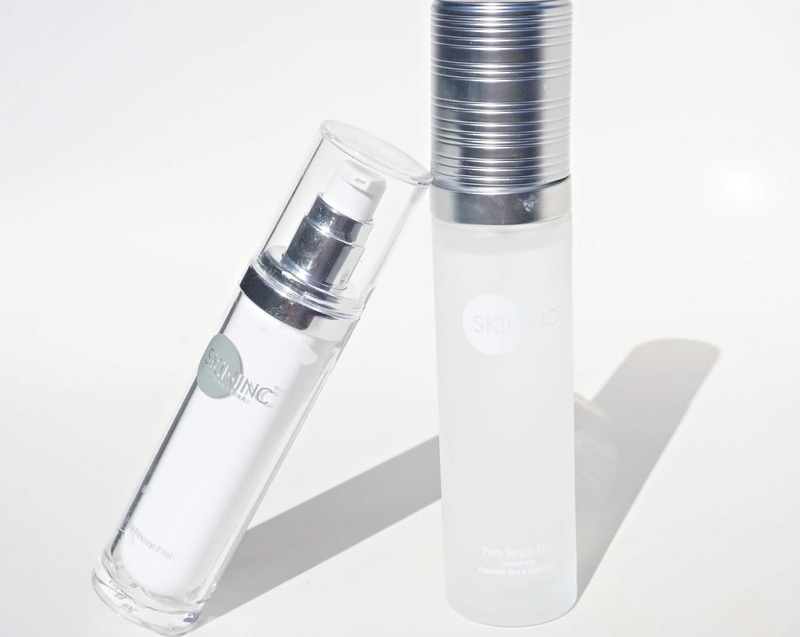 Power Pair: The Skin Inc.
Two other favorite Skin Inc. formulas include the *Pure Revival Peel (reviewed HERE) and the *Pure Serum-Mist. Designed to reveal new skin with each use, the *Pure Revival Peel removes dry, dead skin without irritation. I like to use it every other day in the morning for an ultra smooth canvas that is more than ready for for the makeup to come. 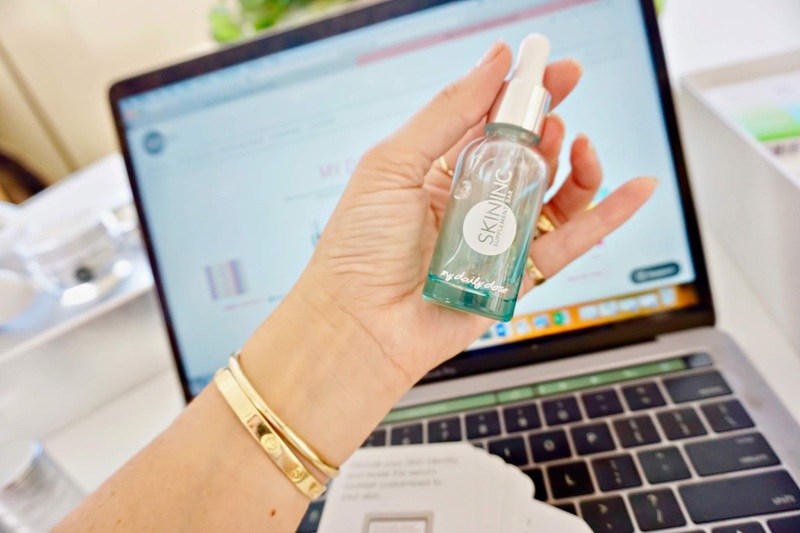 The *Pure Serum-Mist is a marvelous mid-day refresher; the bouncy texture of the hyaluronic acid-rich liquid (part serum, part mist as the name implies) is calming, lush and hydrating, bathing skin in a radiant glow that lasts for hours. It's skincare with pronounced beauty benefits, indeed. Clear and glowing skin in just a few Skin Inc. steps. 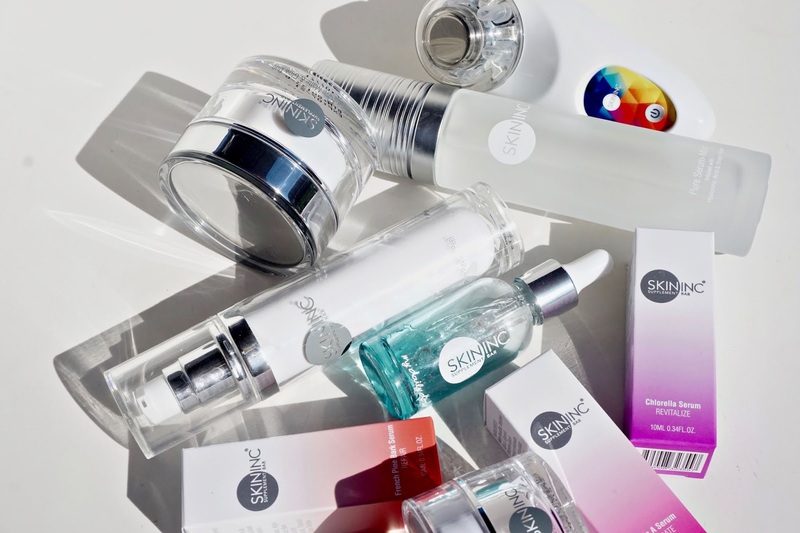 Bottom Line: I hope you enjoyed this brand spotlight featuring the glorious Japanese skincare line, Skin Inc. 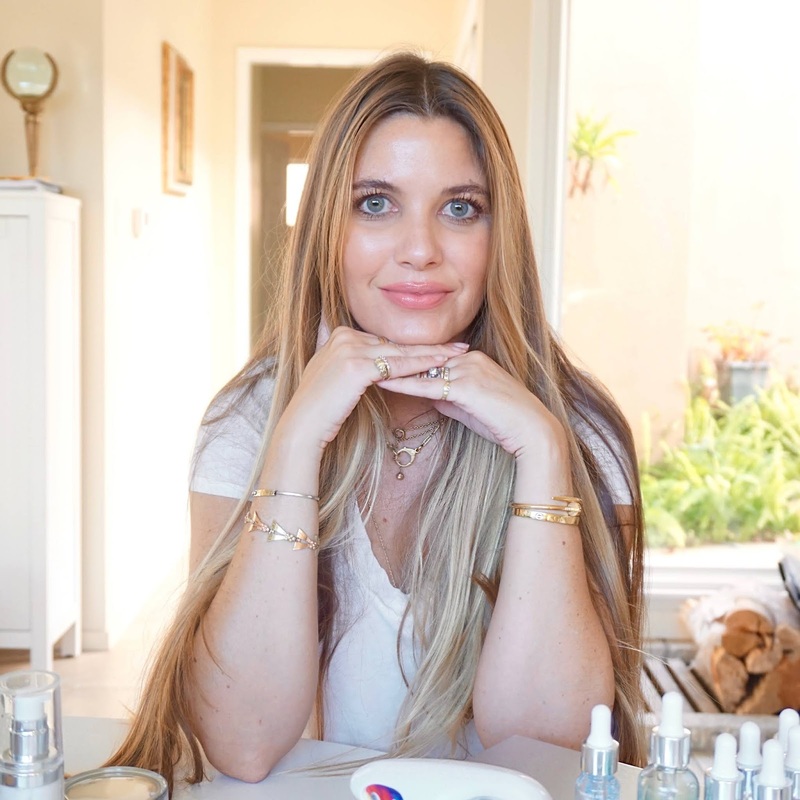 I have been impressed with each of the products I've tried in the range and cannot recommend the *Optimizer Voyage Tri-Light and *Mask-Have Matte & Glow Duo enough as excellent forays into the entire brand experience. 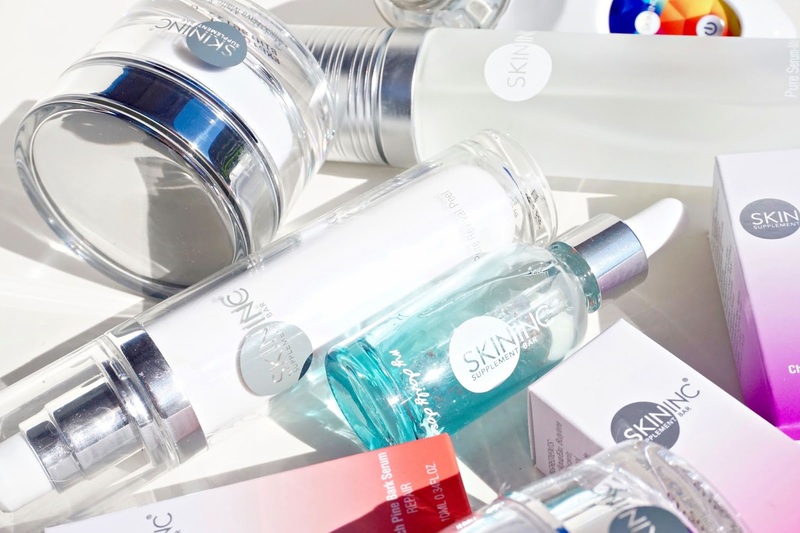 Have you tried anything from Skin Inc.? Do tell. Good things ahead, including a host of new product procurements! Finally, if you live in or near NYC, I'd love to meet you at my Clé de Peau Beauté masterclass at Bloomingdales Soho on Thursday 10/18 from 6PM-8PM...it will be a gorgeous evening of my personal beauty favorites. RSVP by calling Kiko or Baron at (212) 729-5153 and hope to see you there. 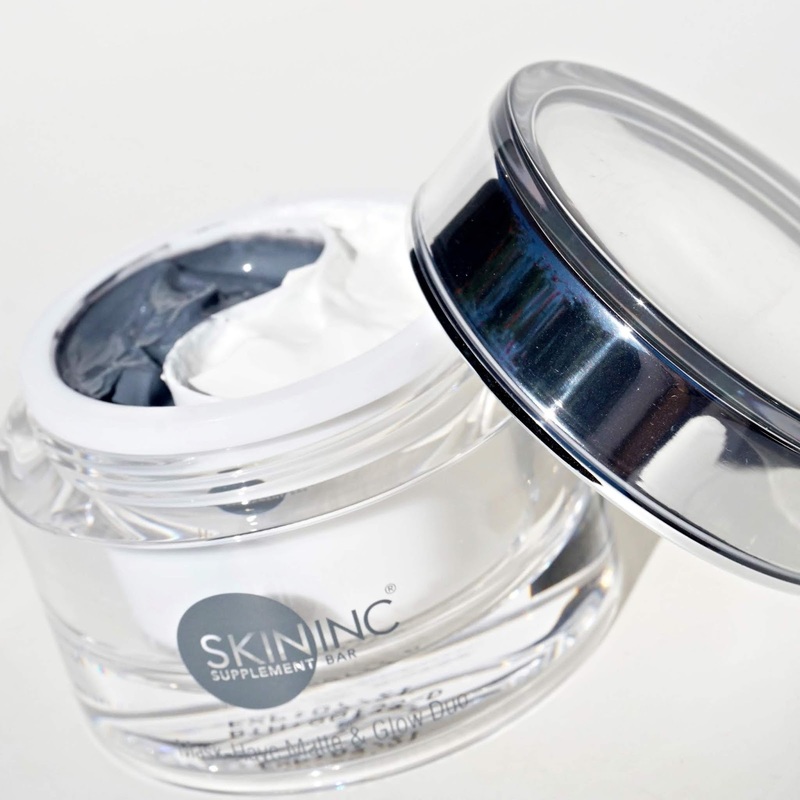 **Many thanks to Skin Inc. for sponsoring this post. PR samples provided for review denoted by an asterisk (the rest purchased by me), however, as always, all of my opinions are expressly and unequivocally my own. © 2012-18 Beauty Professor® All Rights Reserved. Do not copy, reprint or republish content and/or photos without author's written permission.